Haha – what a contrast! 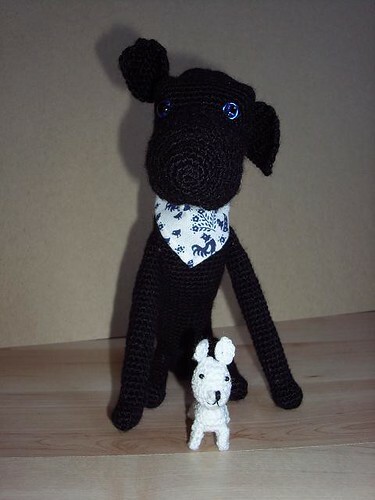 I love the Great Dane’s jaunty neckerchief too! What a great looking dog….where can I get the pattern? Would love to make it for a friend who owns 2 beautiful great danes.